With saddened hearts, we the family of Jean MacLennan, announce her passing on Tuesday, December 8, 2009 surrounded by her loving family. Jean passed away peacefully while we were singing How Great Thou Art at her bedside. Mom was a resident of the Cove Guest Home, where she was looked after so tenderly and lovingly for the past three years. They loved her like she was their own mother and sang her favourite hymns and prayed for her during her care. 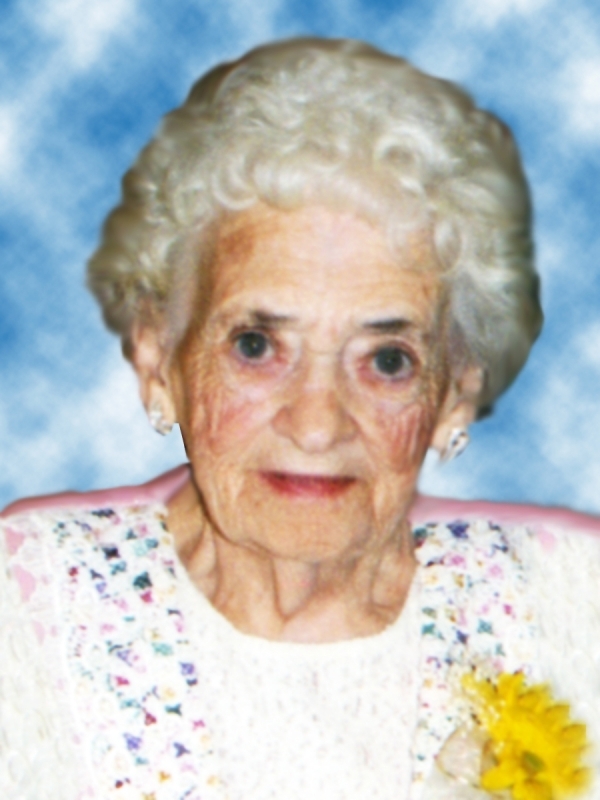 Jean was the daughter of the late Daniel and Dolena MacDonald of Millville, where she resided throughout her life. Jean was a devoted wife, mother, grandmother, great-grandmother and great-great-grandmother, who devoted her life to her children. She lived her faith and she passed this faith on to her children and to so many who loved her so. Jean had a great compassion for others in pain and her gift of writing as used by God to help others through their trials through letters of encouragement she wrote to them. Jean was a gifted singer and sang for her Lord throughout her life. She was an inspiration to us all and will be dearly missed. Jean is survived by her loving and devoted children, daughters, Donna (Winston) MacEachern, Debbie (John) Cann; sons, Wayne (Anne) and Danny (Darlene), daughters-in-law, Eileen and Darlene, all of Millville, 28 grandchildren, 35 great-grandchildren, two great-great-grandchildren, and many nieces and nephews, and her many extended family. Jean was predeceased by her husband, Wallace; sons, Melvin, Jessie, and William â€˜Billyâ€™; and sisters, Christina MacDonald, and Louise Simm. Visitation will be held today (Monday, Dec. 14) at the S.W. Chant & Son Funeral Home, 564 Alexandra St., Sydney, from 2-4 and 7-9 p.m. Funeral service will take place 11 a.m. Tuesday, Dec. 15 at the funeral home chapel with Rev. Rick Barnes officiating. Burial to follow in St. James Cemetery, Big Bras dâ€™Or. In lieu of flowers, donations may be made to the Cape Breton Christian School, which Jean was very passionate about. We held her hand till God took her hand from ours, we love you mom and we will all be together again when we meet at Jesusâ€™ feet.